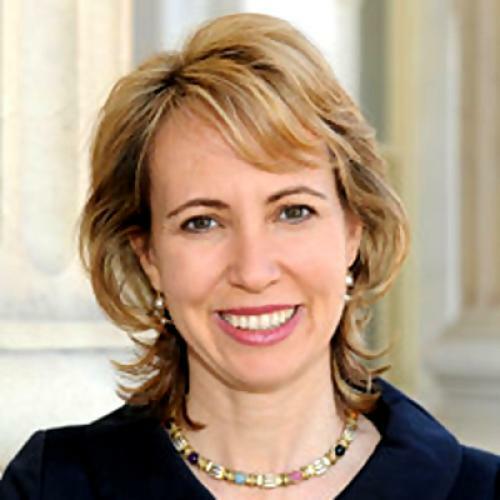 Gabrielle Giffords and the danger of violent rhetoric. WASHINGTON—There is one commentator whose words should enlighten us on the meaning of Saturday's shooting of Rep. Gabrielle Giffords and the savage murders that took the lives of, among others, a federal judge and a 9-year-old girl. The person is Giffords herself. In an interview last March, the Arizona Democrat anticipated almost everything being said now and explained why what happened on Saturday is a violation of our national self-image as "a beacon." Our pride, she said, is that "we effect change at the ballot box" and not through "outbursts of violence." She spoke on MSNBC after the front door of her Tucson office was destroyed. Giffords had strongly supported health care reform, which made some of her constituents very unhappy. Asked if leaders of the Republican Party should speak out more forcefully against violence, she replied that this task fell as well to Democrats and "community leaders." "Look, we can't stand for this." There were problems with certain ways of "firing people up," she said, and then offered an example close to home. "We're on Sarah Palin's targeted list," she said, "but the thing is that the way she has it depicted has the crosshairs of a gun sight over our district. When people do that, they've got to realize there's consequences to that action." MSNBC's Chuck Todd pressed her then, noting that "in fairness, campaign rhetoric and war rhetoric have been interchangeable for years." He asked what she thought Palin's intentions were. "You know, I can't say, I'm not Sarah Palin," Giffords replied evenly. "But what I can say is that in the years that some of my colleagues have served―20, 30 years―they've never seen it like this. We have to work out our problems by negotiating, working together, hopefully Democrats and Republicans. "I understand that this health care bill is incredibly personal," she continued, "probably the most significant vote cast here for decades, frankly. But the reality is that we've got to focus on the policy, focus on the process, but leaders―community leaders, not just political leaders―have to stand back when things get too fired up and say, 'Whoa, let's take a step back here.' "
Can we please take that step back now? Let's begin by being honest. It is not partisan to observe that there are cycles to violent rhetoric in our politics. In the late 1960s, violent talk (and sometimes violence itself) was more common on the far left. But since President Obama's election, it is incontestable that significant parts of the American far right have adopted a language of revolutionary violence in the name of overthrowing "tyranny." It is Obama's opponents who carried guns to his speeches and cited Jefferson's line that the tree of liberty "must be refreshed from time to time with the blood of patriots and tyrants." It was Sharron Angle, the Republican candidate against Senate Majority Leader Harry Reid in Nevada, who spoke of "Second Amendment remedies." And, yes, it was Palin who put those gun sights over the districts of the Democrats she was trying to defeat, including Giffords's. The point is not to "blame" American conservatism for the actions of a possibly deranged man, especially since the views of Jared Lee Loughner seem so thoroughly confused. But we must now insist with more force than ever that threats of violence no less than violence itself are antithetical to democracy. Violent talk and playacting cannot be part of our political routine. It is not cute or amusing to put crosshairs over a congressional district. Liberals were rightly pressed in the 1960s to condemn violence on the left. Now, conservative leaders must take on their fringe when it uses language that intimates threats of bloodshed. That means more than just highly general statements praising civility. In honor of Giffords, the effort to drain the rhetorical swamps should be as nonpartisan as she was in her interview. It is wrong, at any point on the spectrum, she said, to "incite people and inflame emotions." There are, she said, "polarized parts of our parties that really get excited and that's where, again, community leaders, not just, you know, the political leaders, all of us have to come together and say, 'OK, there's a fine line here.' "
It is not misusing an overly invoked word to say it is tragic that a politician so attuned to the costs of political violence became its victim.